Dublin Gazette has teamed up with Dogs Trust to help find homes for lost and abandoned dogs. 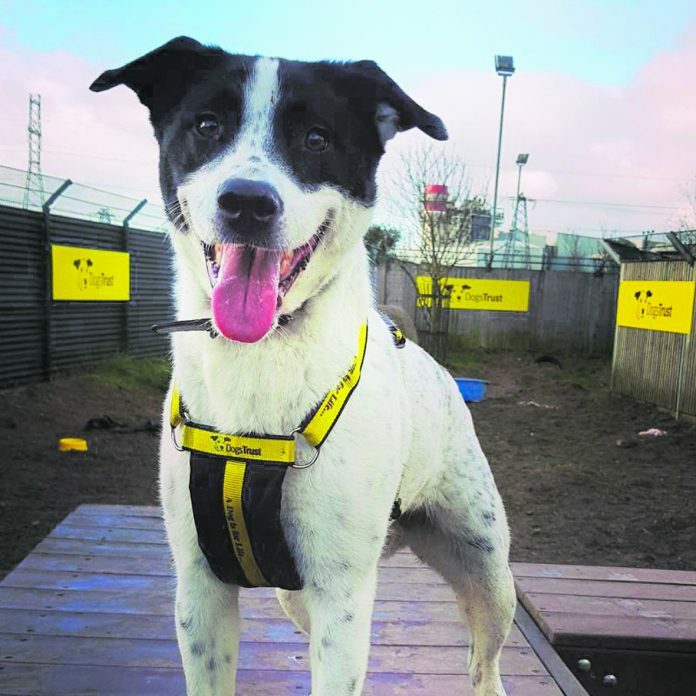 Johnny is a bouncy, four-year-old Collie cross that loves all sorts of activities. Walking, running, chasing, jumping, playing, and solving brain games – he is always on the go, and Johnny is just full of love and fun. He would love an active and fun-loving family which can match his energy and love of life. He will need some training to manage his excitability, but he is super clever, so this should take no time at all. If you are looking for a dog that is great fun and full of love, Johnny will be your paw-fect match! If you have room in your heart and home for Johnny then please contact Dogs Trust on 01 879 1000. They are based in Finglas, just off exit 5 on the M50. Map and directions can be found on their website www.dogstrust.ie. You can also find them on Facebook or Twitter @DogsTrust_IE.